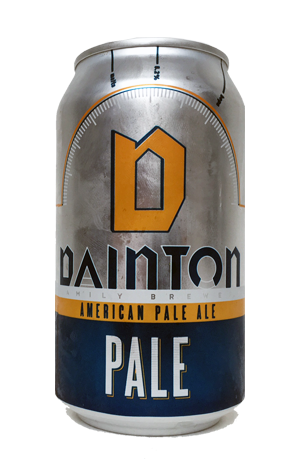 It can be hard keeping track of what's going on at Dainton Family Brewery, what with new beers and new looks for old beers coming thick and fast. Then again, if you know main Dainton Dan, such fripperies are perhaps to be expected. The latest new look is one that's been trailed for a while: the brewery's first canned beer (other than the CANimals released via Hops to Home earlier in the year). And with the first can comes another new look: the dramatically gothic labels of recent bottled releases replaced with a cleaner, more industrial look. Inspect them and you'll find plenty of info on the beer presented in a unique manner: a series of heart like valves tell you there's four hops, four malts, 5.2 percent alcohol and so on; an odometer gives an indication of how malty and hoppy the beer is in character. As for what's inside, it's an American pale ale that's copper in colour and displays a fine balance of citrusy, tropical and piney hops with caramel and biscuit malts. Indeed, while plenty of hop driven beers have come out under the Dainton banner in recent years, flagship Red Rye Ale aside (and following the industrial theme), this could be the best constructed of the lot.